Brazil is a rather big country, so it would be hard to write about all the bands and styles we have here. After some gigs and new recordings I’ve decided to talk about some bands from Campinas, Sao Paulo and Porto Alegre. Starting with Porto Alegre, there’s a band called Charutos Cubanos. Starting in 2007 they played tributes to The Strokes and Arctic Monkeys, but since 2008 they’ve started doing their own projects, launching now their second EP, Appaloosa. The boys already have their space in the musical scene from the South of the country and now, thanks to internet, in the other states hoping to be playing soon around Sao Paulo. In Campinas, city where I live, was hard to choose just one band to talk about. Shake Heartbreak, Libs, Ya Cult! and Scotch Tape were my options. I’ve decided to talk about Scotch Tape, a bad formed by girls playing punk rock. Known as The Distillers tribute band, the girls started to play when the American lead singer, Alessandra, met the bass player, Dani, and decided to form a band. Without knowing who would play what, they started to chase by musicians, finding Luiza and many other people who passed by. They were constantly looking for a new drummer, but the search seems to have settled down. Scotch Tape is often playing in Campinas and close cities, having full agenda every weekend. Their music, Right to Choose, inspired by California punk can now be found in their MySpace. From Sao Paulo there’s a band called Holger, which has played recently in Campinas. I just knew the band by name, but a friend showed me their video and took me to the gig saying they were a great live band. She was right, the band has a strong energy and a great way of dealing with the crowd. Creating a good atmosphere and unusual events such as girls taking out of their shirts, play fight rolling in the street and dance competitions for t-shirts and albums. Posted on December 4, 2010 by Joe Sparrow. This entry was posted in Featured, Headline, The View From.... Bookmark the permalink. 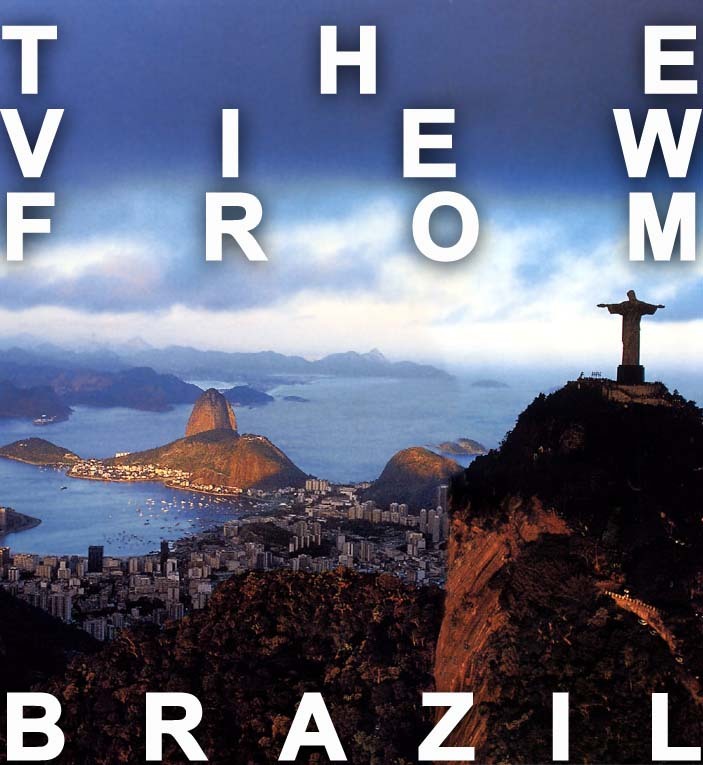 The View From… Brazil (Pt 2) | A New Band A Day!